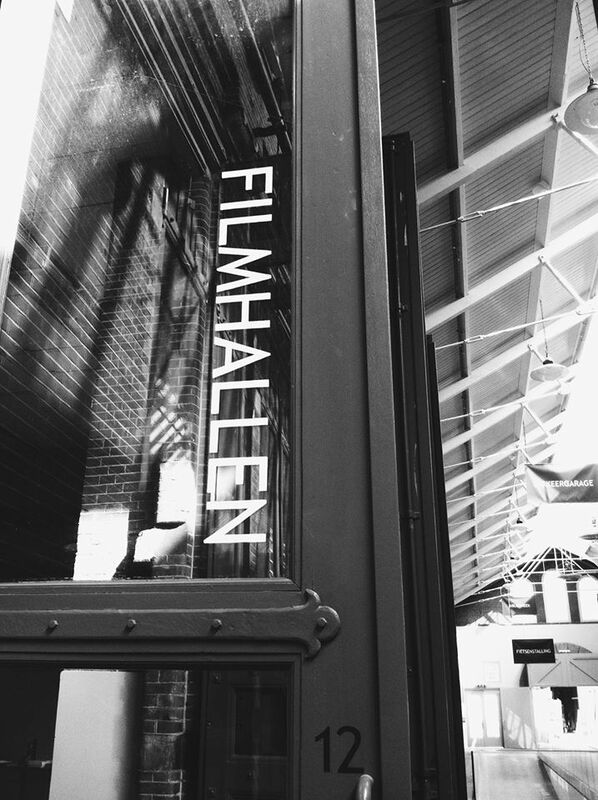 Great news for cinephiles: a couple of weeks ago, film theatres De Filmhallen and LAB111 opened their doors! Writer’s Block editor Isabel visited the cinemas and reported on the airy former tram storage and the eerie former pathological institute now both turned into a film fanatic’s paradise. Located in a former tram storage in the Oud-West neighbourhood of Amsterdam, De Filmhallen’s high ceilings and large seats bring about a different feel than most other cinemas in town do. It is located in a space that has a very modern and metropolitan atmosphere and reminds one of bustling places such as Borough Market in London. This probably has to do with the fact that besides De Filmhallen, the area also houses a branch of the public library, several art galleries, and will soon contain restaurants and a food court as well. You do not have to be afraid of crowds though. De Filmhallen provides a peaceful escape from the busy Kinkerstraat around the corner with its lofty bar and the cinematic getaways it offers. Its assortment of films consists of quality Hollywood movies, Europe’s finest films, and the best of contemporary world cinema. What’s more, the theatre has the comfiest seats my buttocks have ever encountered and because of the smaller size of the viewing halls, one gets a perfect view of the screen. Although De Filmhallen does not have the dusty cinematic vibe of its sister company The Movies yet, I strongly believe this cinema is prone to become one of Amsterdam’s finest, once it has been worn-in by the many visitors it deserves to receive. LAB111, a hidden gem in the Helmersbuurt (the beautiful neighbourhood near the Vondelpark), has a completely different vibe. The recently reopened film theatre is located in a building that used to be a medical anatomy lab, which gives the place’s roomy corridors quite a spooky ambiance. The building’s decoration, however, is very sleek and modern and the convivial chatter coming from LAB111’s restaurant soon dispels the spookiness. Next to doubling as an art gallery and restaurant (with a very promising and not that expensive menu that I sadly have not had the chance to test yet), the film theatre hosts an Italian Film Club showing recent Italian releases and houses several film-related companies. LAB111’s diverse programming centres on the latest children’s films, surprising new releases, and old classics. It’s now playing A Film About Coffee (2014), of which the title alone is simply irresistible, and Studio Ghibli’s latest film The Tale of the Princess Kaguya (2013). Let’s face it: there simply are days that you find yourself with a desire to go out and do something awesome, but you’ve just got no idea where to go. Boy, have we got just the fix for you! Here, you’ll find a WB-approved selection of events happening in Amsterdam right now, or in the very near future. Do you happen to have a really good suggestion for the next edition of WB Happenings? Let us know through writerssblock@gmail.com, and we might include your suggestion in the next edition! 20 July – 9 November Bad Thoughts @ Stedelijk Museum. Private collection by Martijn and Jeanette Sanders containing a diverse selection of photographs, drawings, and graphic design. 17 September – 10 December Under Construction: New Positions in American Photography @ Foam. Group exhibition of a new generation of image-makers reassessing the value of the photographic image in the 21st century. 10 October – 1 February Breitner schetst Amsterdam @ Stadsarchief. 29 September Special screening of Ferris Bueller’s Day Off @ Kriterion, 22.00. From 4 September and onwards A Most Wanted Man. Film directed by Anton Corbijn based on the homonymous book by John le Carré about a power struggle between bankers, lawyers, and counter-terrorists. From 28 August and onwards Sin City: A Dame to Kill For 3D. Neo-noir film starring Jessica Alba, Joseph Gordon-Levitt, Mickey Rourke and Bruce Willis. Sequel to the film Sin City released in 2005. 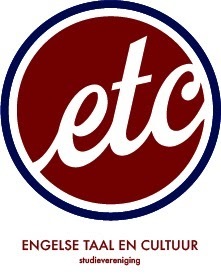 25, 26, 27 September Tasso, Het Nationale Toneel @ Compagnietheater (in Dutch). Play, originally by Johann Wolfgang Goethe, about a young talented artist named Alfonso who has to choose between a life of rest and regularity or a life of freedom and passion. 25 September Battle of Ideas – Are We Facing a Democratic Crisis? @ De Balie, 20.00. Panel discussions with experts and an open dialogue with the audience about the democratic crises of today. 6-12 October Camera Japan. Japanese multidisciplinary cultural festival. 8-12 October Afrovibes @ MC Theater and Bijlmer Parktheater. Music, arts and theatre festival celebrating South-African culture. 15-19 October Amsterdam Dance Event. Electronic music festival with more than 800 events in over 80 clubs throughout the city. Find here our first Writer’s Block of this academic year! We hope you enjoy it and you are encouraged to send in some work of your own! Writer’s Block is always looking for new pieces of writing, because without submissions there is no WB. We hope to read some of your writings soon! Click here for the online version of WB #22. Awrite! Hou’s aw wi ye? Can A gie ye a haund? It’s quite remarkable that when you study English you get taught about grammar, literature, philosophy even, but nothing about pronunciation. We do have phonology, but that is mostly theoretical and only in Received Pronunciation. We learn how to pronounce sounds and phonemes, but don’t actually practice it, there is no oral exam. We firmly believe that there should be a possibility to both practice oral skills and different types of accents. Wouldn’t we all like to show off our well-polished Scottish or Australian accents? We understand that this might not be suitable for the obligated curriculum, but it would definitely be so much fun as an elective. Take the Radboud Universiteit Nijmegen for instance, they already have a similar course to train their students’ oral communication skills. It would not only be fun but also very useful to be able to speak different accents, because it would broaden the fields of research in other courses. There are books that read as though written in an accent. Trainspotting by Irvine Welsh for example, is written in Scottish English, or The Color Purple by Alice Walker, which is written in African American Vernacular English, and As I Lay Dying by William Faulkner in a Southern American dialect. One can of course understand these books when you speak RP, but knowing the accents and where they come from enriches the experience of reading so much more. Another reason to learn all sorts of accents, is because it is toe-curlingly awkward when you’re having a conversation with a native speaker and you don’t understand them, to tell them that you study English at University. We’ve had many occasions when we had to embarrassingly admit to this. Basically, we’re secretly hoping a UvA staff member will read this column and get it done. From our most beloved source WikiHow. We’d like to share with you this golden gift of learning how to speak like a Geordie: http://www.wikihow.com/Talk-Like-a-Geordie . Enjoy rebelling against the system and learning your first non-standard accent on your own! Cheers! Find here a special of Writer’s Block with a few selections of the best works of the last few years. Click here for the online version of the WB Special for the Literary Festival of Etcetera at Spui 25 last week, Books That Will Save Your Life. The link to the online registration of this event will follow soon. Find here our latest Writer’s Block! Click here for the online version of WB #21. We as editors of Writer’s Block have decided to start a new series of columns, of which this is the first. Our aim with this is to write about the things that us editors encounter whilst being a part of the Writer’s Block editorial board. Having read so many work sent in by you, it’s daunting to start writing ourselves. We have to be such grammar nazi’s about your work, so how to write our first column ever? We want to get the best out of your work, however, we are, not infallible either. Most members of our board are aspiring writers as well; we understand that writing is not easy, and it is even harder to show your work to others and be criticized. So with that in mind, what would be a suitable subject for an editorial column? Why not to show you how hard it is for us to write a column open to your critics. Let’s see if we can write a column that lives up to our own standards. Where to start, where are we going? Can we make grammatical errors? What will our fellow editors say? As we mentioned before, the task is daunting, to say the least. We are the first editors of Writer’s Block to write a column for our website, however all the editors have to face the same challenge as we are facing right now. So what now? Writer’s Block? Column Block? Blocking our column, blogging our column, blogging our block? We don’t know. We thought it fitting to write about our difficulty to write a column. So here we are writing, thinking, delving deeper into an abyss of despair. How will we ever reach our target of 500 words, or rather, will we ever reach it? It feels like we’re trying to make a deadline, with all our readers , writers and editors as our professors. We are nearing our end now, thankfully. We can assure you, it was quite the ordeal. This still has to be approved by the editors. Let’s hope they are kind to us. Five more words. Done! Or… ?